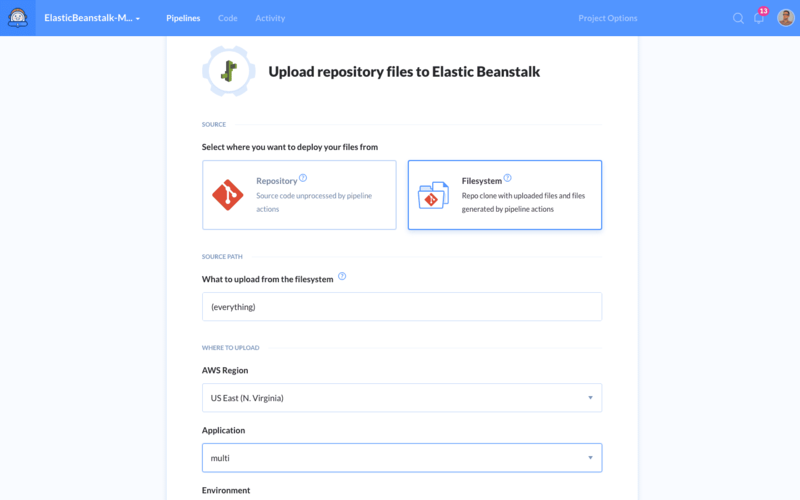 Delivery – used to upload repository files or compiled app to the server on every push to branch, recurrently at a given time, or manually on click. Monitoring – used to check the status of website or server on given intervals and send a message in case it goes down. In this article we’ll cover practical use of the new EB monitoring action in the context of existing delivery pipelines. 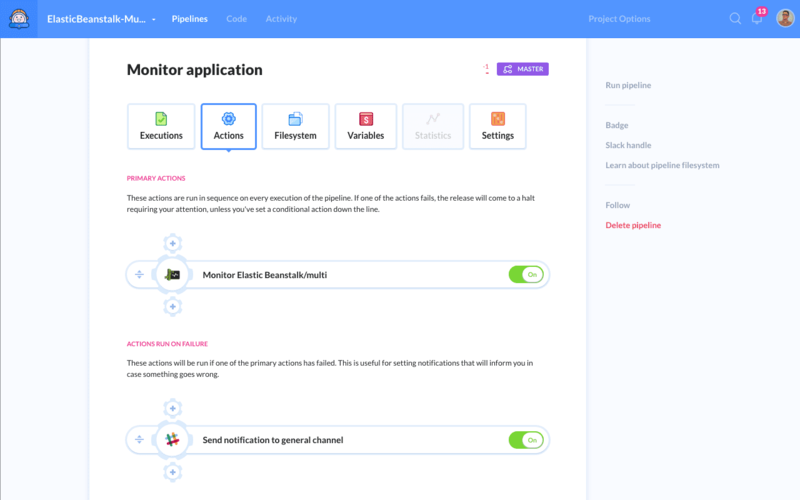 If you covered your application with tests, you’ll need a CI server to run them. 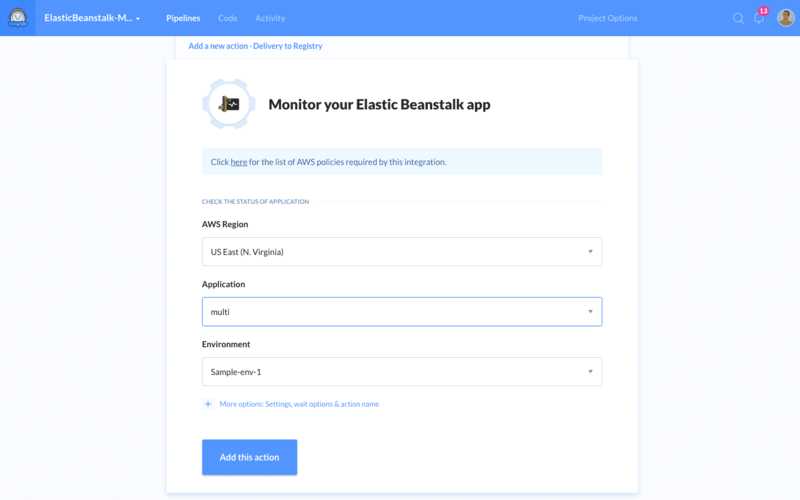 Testing is hardly an issue directly connected with Elastic Beanstalk: it’s more about the application type, its specification, and the person behind development. However, testing is crucial if you want to make sure the application deployed to your EB instance is working properly and free of errors. GREY Your environment is being updated. GREEN Your environment has passed the most recent health check. At least one instance in your environment is available and taking requests. YELLOW Your environment has failed one or more health checks. Some requests to your environment are failing. RED Your environment has failed three or more health checks, or an environment resource has become unavailable. Requests are consistently failing. If the color is different than GREEN, the execution will be marked as failed. Theoretically, the YELLOW color is acceptable as well, since it indicates the application is up and running. However, it means it requires attention (eg. scaling). 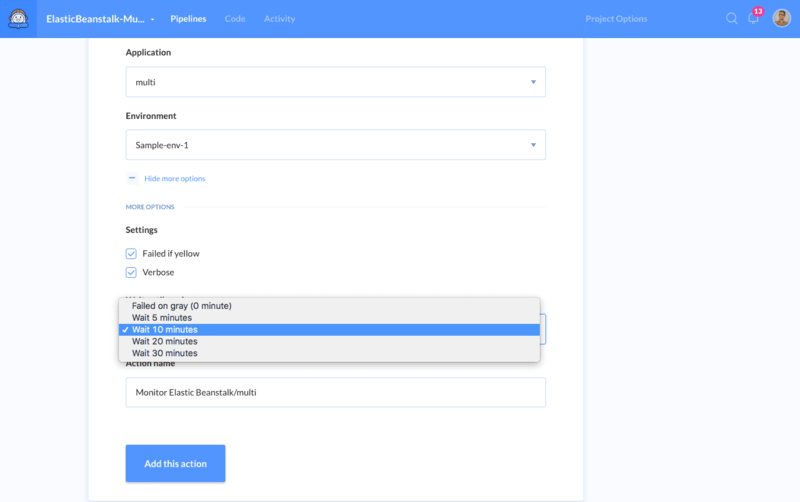 A delivery pipeline will consist of a delivery action and a subsequent monitoring action. In this case you’ll have to wait until the application has finished updating, or the monitoring output will be unreliable. You can do that by setting Wait for ready in More options, so that Buddy will check the environment status first.